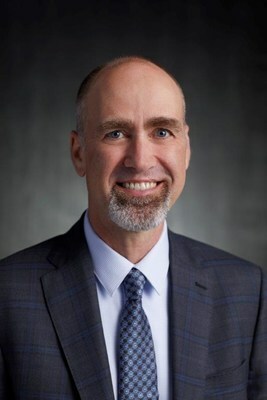 FREMONT, Calif., Aug. 15, 2018 /PRNewswire/ -- Tailored Brands, Inc. (NYSE: TLRD) today announced the appointment of Richard Hansen as senior vice president, strategy & analytics, reporting to Doug Ewert, chief executive officer, and the appointment of Samantha Lee as senior vice president, chief digital officer. Ms. Lee will report to Bruce Thorn, president and chief operating officer. "Richard brings us extensive experience leading customer insights and analytics teams for world-class companies, and we are thrilled to bring him on board to lead our strategy and analytics efforts," said Ewert. "Our goal is to transform the way men shop by delivering superior products and experiences that build a long-term relationship with our customers. Richard will help us harness critical and actionable insights so we can deliver on this goal." Hansen said, "I am impressed by Tailored Brands' focus on elevating the customer experience both in the stores and online, and its commitment to leveraging analytics to drive business performance. I am excited about the opportunity to help uncover new insights and opportunities to innovate our customer experience and inform our growth strategy." Most recently, Mr. Hansen served as vice president, customer insights & analytics, for Walmart, where he was responsible for marketing and customer analytics, and customer research for Walmart's U.S. stores and e-commerce business. He joined Walmart in 2016 as vice president, strategy, planning & analytics for Walmart's e-commerce business. Previously, Mr. Hansen was vice president, planning & analytics for online home décor company One Kings Lane, after serving in a wide range of leadership positions across analytics, operating and product management at eBay Inc. Early in his career, Mr. Hansen held consulting roles at Bain & Company and Price Waterhouse. He holds a Masters in Business Administration from The University of Chicago Booth School of Business and a Bachelor of Science in Engineering from the University of Nebraska. "Samantha has been an outstanding leader of our customer experience team and has been instrumental in executing our strategic omni-channel roadmap," said Thorn. "It gives me great pleasure to announce the appointment of Samantha as chief digital officer." "We have made great progress towards our goal of delivering a seamless omni-channel experience for our customers," said Lee. "I am excited about overseeing the launch of new digital innovations that delight our customers in-store and online." 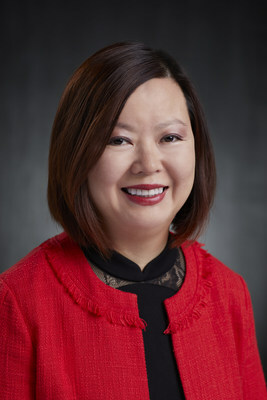 Ms. Lee joined Tailored Brands in 2015 as vice president, site management & customer experience, and is currently senior vice president, customer experience. Previously, she was senior director of e-commerce and customer experience at Bebe Stores, Inc. and director of e-commerce and online marketing for Sanrio, Inc. She began her career in marketing and product development for financial services companies, E*TRADE Financial and Charles Schwab. Ms. Lee holds a Bachelor of Arts in Economics and Chinese Language and Literature from the University of California, Berkeley. "Ben has contributed significantly to strengthening our omni-channel capabilities. We thank him for his many contributions and wish him well in his new endeavor," said Ewert. This press release contains forward-looking information, including the Company's statements regarding its goal to deliver a superior customer experience and launch new digital innovations. In addition, words such as "expects," "anticipates," "envisions," "targets," "goals," "projects," "intends," "plans," "believes," "seeks," "estimates," "guidance," "may," "projections," and "business outlook," variations of such words and similar expressions are intended to identify such forward-looking statements. The forward-looking statements are made pursuant to the Safe Harbor provisions of the Private Securities Litigation Reform Act of 1995. Any forward-looking statements that we make herein are not guarantees of future performance and actual results may differ materially from those in such forward-looking statements as a result of various factors. Factors that might cause or contribute to such differences include, but are not limited to: actions or inactions by governmental entities; domestic and international macro-economic conditions; inflation or deflation; the loss of, or changes in, key personnel; success, or lack thereof, in formulating or executing our internal strategies and operating plans including new store and new market expansion plans; cost reduction initiatives and revenue enhancement strategies; changes in demand for clothing or rental product; market trends in the retail business; customer confidence and spending patterns; changes in traffic trends in our stores; customer acceptance of our merchandise strategies, including custom clothing; performance issues with key suppliers; disruptions in our supply chain; severe weather; foreign currency fluctuations; government export and import policies; advertising or marketing activities of competitors; the impact of cybersecurity threats or data breaches and legal proceedings.